Facial lines and wrinkles. When used to provide a more youthful appearance, IPL is referred to as a “photofacial” or “photorejuvenation”. Vascular lesions, including spider angiomas, port wine stains, broken facial veins, rosy cheeks (flushing), and the redness (erythema) of rosacea. IPL systems produce light with many wavelengths, unlike lasers which produce light of just one wavelength. Filters may be used to refine the emitted light to target specific tissues. The light emitted by IPL is absorbed by pigments in the skin cells and converted to heat, which impacts the targeted tissue. For instance, when used to treat spider veins, IPL targets the red pigment in blood (hemoglobin) which heats up the vein. 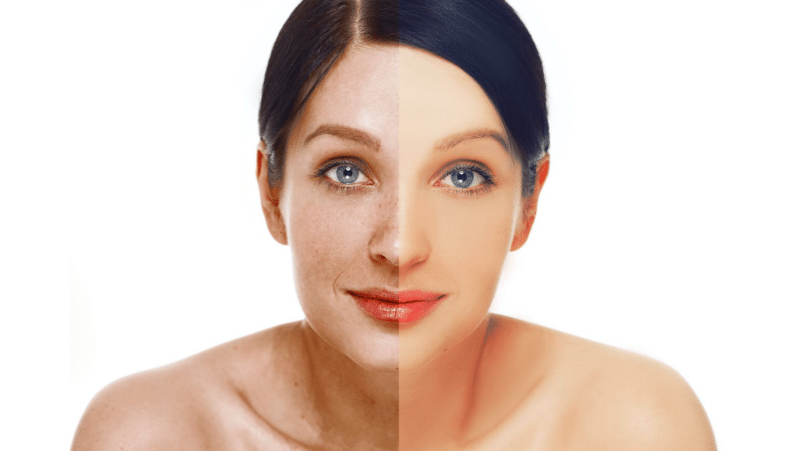 When used to treat colored spots, the light of IPL heats up the melanin pigment in the lesion. IPL therapy is referred to as a “non-ablative” resurfacing technique because it affects the lower layers of skin (dermis) without damaging the upper layers of skin (epidermis). The results are not as dramatic as ablative resurfacing with lasers, but IPL therapy offers minimal downtime. A person can have a treatment during lunchtime and return to work the same day. Each treatment session lasts about 20 minutes. 4-6 sessions may be recommended every 3-6 weeks to achieve desired results. mild pain during treatment (reduced with the used of a coolant on the skin or topical anesthetic). The sensation has been likened to a light pinch or the snap of a rubber band. areas that are darker (hyperpigmentation) or lighter (hypopigmentation) than surrounding skin. This is rarely permanent.